The majority of strata Annual General Meetings are coming up over the next few months presenting an ideal opportunity for strata lot owners to verify that their home owner insurance policy water deductible coverage matches that of the strata corporation's master building policy and if not advise their insurance broker immediately. The BC Strata Property Act requires that any AGM Notice includes a copy of the strata corporation's insurance policy summary. This summary page will include a notation on what the building’s current water deductible amount is. 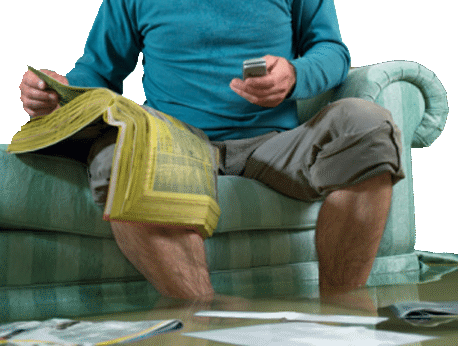 Depending on any resultant water damage claims filed in the past policy year and the extent of damage, this deductible amount can increase to a staggering amount from the previous year. It is not uncommon for strata's today to have a deductible in the $50,000 to $100,000 range from the days of when they were $5,000 to $25,000. WHY IS THIS IMPORTANT TO YOU AS A STRATA OWNER? Deductible assessment coverage is an additional coverage that has become increasingly important in light of the increasing cost and frequency of resultant water damage claims. For example, if the building is damaged due to a water leak, the strata corporation would generally file a water damage claim with its own insurance company. Section 158 of the Strata Property Act states that the insurance deductible in respect of a claim is a common expense, but the strata corporation may sue an owner in order to recover the deductible portion of an insurance claim if the owner is responsible for the loss or damage that gave rise to the claim. Two landmark BC court decisions in 2007 determined that the strata corporation need not prove negligence in order to determine owners' responsibility. A strata corporation may sue a strata lot owner to recover the insurance deductible even though the owner was not negligent and merely caused or brought about the events that resulted in the damage. To remove ambiguity and potentially save on future legal expenses, some strata corporations have passed bylaws that clarify that owners are strictly liable for damage to common property that originates in their units. It is therefore important that all strata owners review the building policy and advise their insurance broker of the building deductible amounts to ensure their unit policy includes sufficient coverage for all building deductibles including water damage. This information is included in the insurance summary report within the NOTICE of Annual General Meeting that strata corporations are required to provide strata lot owners prior to the Annual General Meeting. Some strata buildings due to frequent or a single extensive resultant water damage claim are now facing water damage deductibles of $50,000 to $100,000. Loss assessment coverage typically pays the owner's share to cover major property and liability losses on common property that may exceed the strata corporation's policy limits. Request your insurance broker to advise you of any other additional riders that you should consider.